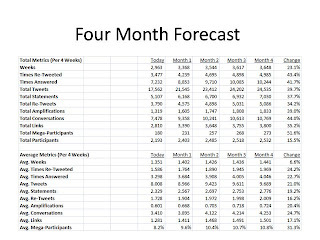 We know the probability of a #blogchat participant engaging again in the next four weeks. We know the Digital Profile the #blogchat participant will migrate to if the participant engages. We know how many new participants we'll have in the next four weeks, by Digital Profile. This allows us to create a simulation, illustrating how the community will evolve over time! Well, we have good news here ... the community was at 2,193 monthly participants, and is forecast to increase to 2,403 participants, then 2,485 participants, then 2,518 participants, then 2,532 participants over the next four months. Remember, growth isn't coming from engagement rates ... growth is instead coming from new participants! 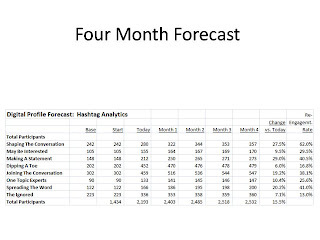 We can also forecast where key metrics are headed. 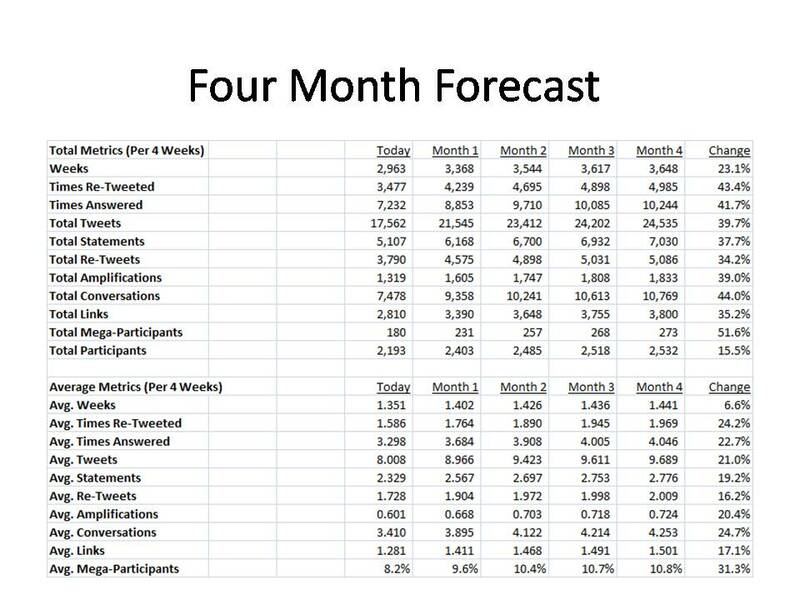 We know that the #blogchat community will grow by 16%, what will happen to tweets and other key metrics? Well, this is a positive story! What's happening is that the participants who are engaged are moving into more valuable Digital Profiles, Digital Profiles where participants are more likely to tweet and participate at high levels! We learned that the #blogchat community is a vibrant and successful community. 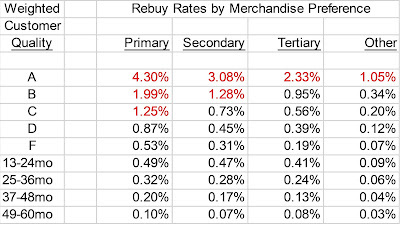 We learned that engagement rates are generally low, and that is perfectly acceptable. We learned that a small number of participants generate most of the "oxygen" for this community ... we called them "Mega Participants". We learned that kindness matters!!! We learned that the simple act of thanking a first-time participant who retweets content yields an engagement rate that is up to ten times greater than observed when a first time participant is not acknowledged for a retweet of content. We learned about Digital Profiles, descriptions of various participants that have predictive ability. We learned that there is a common path that a participant takes as the participant goes from a first tweet to "Making A Statement" and participating at a high level. 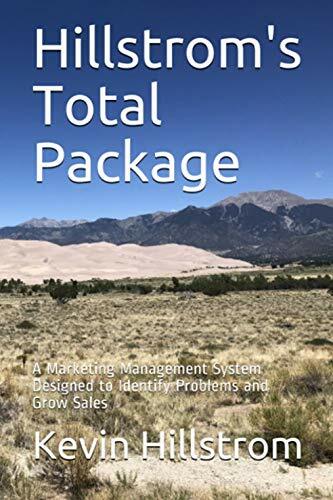 We learned that participant growth will come from new participants, and that is perfectly acceptable (and is congruent with most of the e-commerce, retail, and catalog work I do). We learned that the #blogchat community is growing at a 16% rate over four months. We learned that total tweets within the #blogchat community is growing at a 40% rate, because many participants are moving into high-value Digital Profiles!!!! We learned that, overall, Mack Collier and his #blogchat community is thriving and succeeding, a good thing!!! 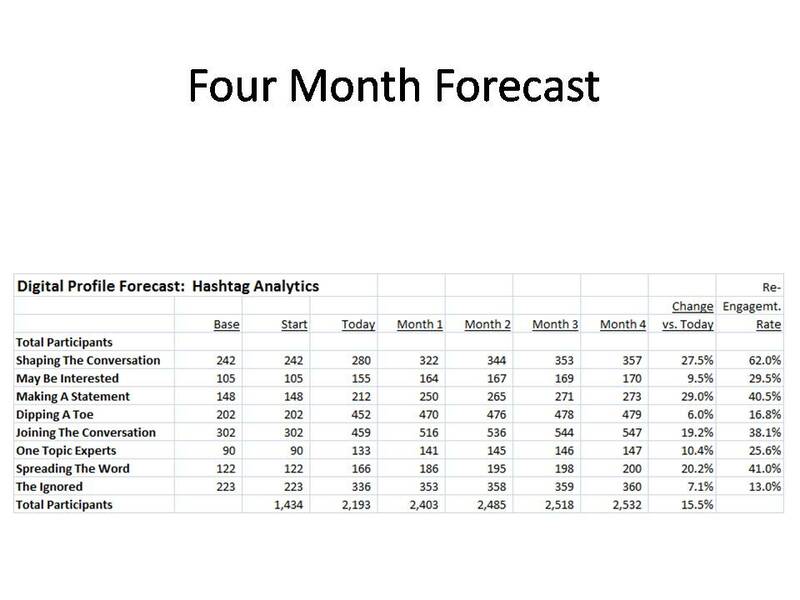 We learned that we can predict the future ... not many social media analytics experts have a methodology for predicting tweet volume and participant volume ... we, however, have a methodology for doing this!!! Tomorrow, we conclude our series with the introduction of a booklet that teaches us how to predict the future of a social media community on Twitter!